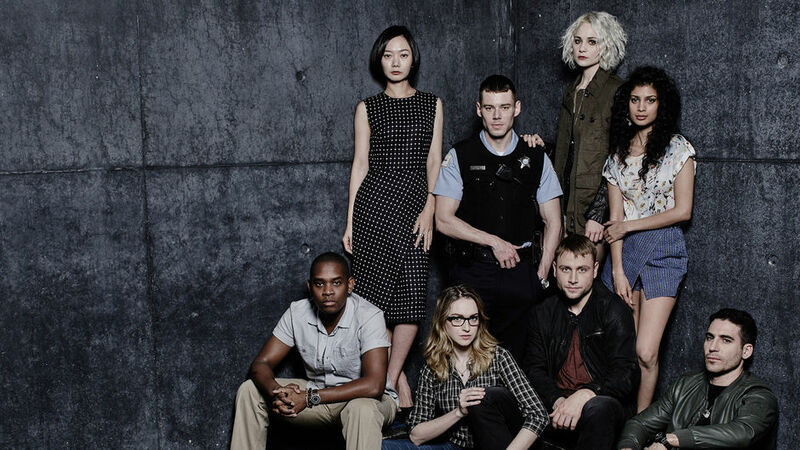 The new Netflix Original Series Sense8, comes from the amazing minds behind The Matrix trilogy and Babylon 5, The Wachowskis and J.Michael Straczynski. The show is complex and ballsy, with it’s many characters and many locations. The show is about a group of strangers, known as ‘Sensates’. Each live in different cities around the world, and none have met before, until one day, after witnessing a tragic death, they can suddenly communicate with each other mentally and emotionally. Whilst trying to figure what is happening to them, a mysterious stranger they call Whispers is trying to hunt them down for his own sinister scientific purposes. Sense8, is a sci-fi show that is more about the empathy of the human experience than the science that its genre indicates. This show is unlike many I have watched before. Rather than focusing itself on the scientific notions of telepathy and astral projection, Sense8 is more about the characters. Yes, sci-fi is a significant factor in this story, but as you watch it, the science becomes secondary to the characters. For once, it takes a backseat, it is not as important as what our characters are going through. The show explores themes of sexuality, religion, politics, discrimination, and identity just to name a few. It is through these themes that we learn what we as humans are willing to go through, what to sacrifice, and what to hide, in order to fit in alongside our peers, to feel as one with those around us, from our family and friends, to our neighbors and coworkers, and strangers on the street. This show is all about the human condition, and how humans cope and develop emotionally and mentally as we evolve and grow into something more than what we are. The characters are wonderfully diverse, including a Korean underground kickboxer, a safe-hacker in Berlin, a closeted gay couple in Mexico, a transgender hacker in San Francisco (the first trans character by The Wachowksis), a bus driver in Nairobi, a Chicago cop, an Icelandic DJ and an Indian scientist. My personal favourite is Nomi’s girlfriend Amanita. She is probably the most open-minded character I’ve seen (other than Captain Jack Harkness), and has a disturbing propensity for setting things on fire. But only for protection purposes of course. Each episode can be rather dense, and the complexity of the script means that if you miss something, you find yourself lost and having to rewind to understand what is happening, which can at times be frustrating. Particularly because each episode is an hour long. However despite this, the show is easy to get lost in if you can make it past the first episode. The more I watched these characters, the more I wanted to learn about them, and understand them and dive into their world. I mean, how awesome would it be to be able to share something as intimate and profound as these people do? The show first aired on June 5, and consists of 12 episodes, which can be watched in total on Netflix. Hopefully they start making season 2 soon, because I for one, cannot wait to see more of this show. Oh wow, I may consider renewing me Netflix subscription just for the show! Renewed and on my to watch list!